Our wine hotel is situated in the downtown area of Szekszárd, right next to the Mészáros Wine-house just a few minutes walk away from the city center. The tranquil small-town atmosphere and the ambience of the wine-region present everybody, who seeks quietude and as well those who seek active recreation activities, the perfect relaxiation opportunity. Alongside accomodation, we offer you the traditions and values of the wine-region's gastronomy, its wine and its cultural life. 4* quality, unique interior, highly skilled staff, extensive and tailor-made services await our guests. the newest trends of interior design. 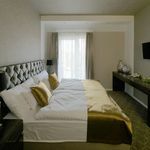 The spirit of the place, the location of the hotel and the milieu of the town center were all taken into account in order to present our guests with the sensation of elegance, comfort and quality. mini-bar, bathrobe, hairdryer and a comfortable shower. experiences with the most modern technology integrating traditions and the newest trends. 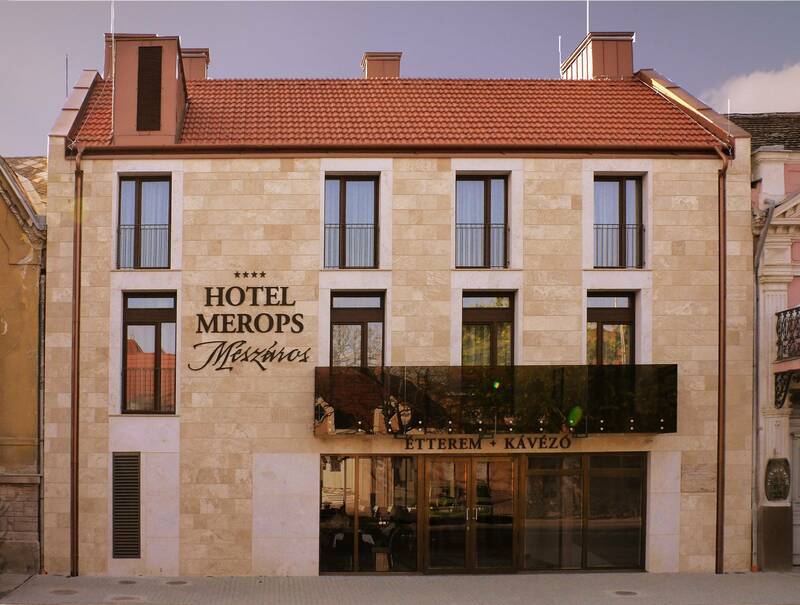 The conference room of the Hotel Merops Mészáros is suited to accomodate from 50 to 200 people. It could be the worthy location of any weddings, conferences, company events, team building trainings, customer meetings, exhibitions, cultural events or any other events. The air-conditioned conference room has natural lighting and all the technical equipments required nowadays. 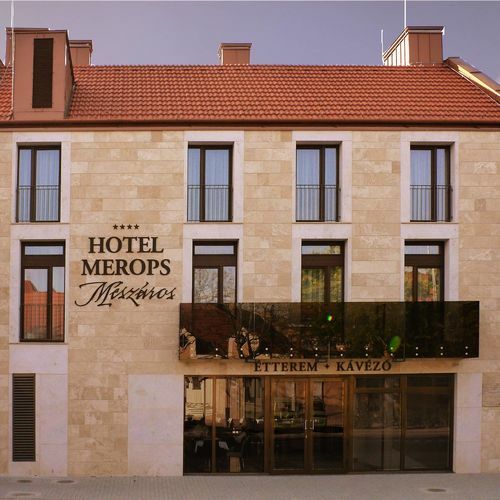 The rating of Hotel Merops Mészáros Szekszárd is 9.6 from the maximum 10, 91 based on actual and valid guest ratings and reviews. "Hétvégén a reggeli kiszolgálás lassú és nem törődöm volt. A svédasztalos újratöltése elmaradt, így már alapélelmiszerek (pl. pékáru, vaj) hiányoztak az asztalról. Hétfőtől a reggeli személyzet változott és ezzel a szolgáltatás minősége is jelentősen javult." "Tiszta szobák, csendes és modern szálloda, kedves személyzet! A szálloda a lehető legjobb helyen, a város szívében helyezkedik el. Az étterem nagy választékkal és rendkívül finom ételekkel várja a vendégeket. A reggelinél a kávé különösen finom!" "A gemenci erdőt jöttünk megnézni igazából, meg mert még nem voltunk Szekszárdon. Csak egy napot voltunk a szállodában. Jól éreztük magunkat, talán még visszajövünk egyszer." Based on the reviews and comments of actual guests, the services of the Hotel Merops Mészáros Szekszárd have received a high rating of 9.3/10.